Any exercises that you add to your Physitrack account will only be visible inside your own account and any colleagues who you have explicitly added to the My account > Sharing page. Click the "Add Exercise" button (the + symbol to the top right). Upload your exercise video. This needs to already be saved onto your computer (if the video contains a patient, be sure to identify them). Set the parameters for your exercise & hit save. 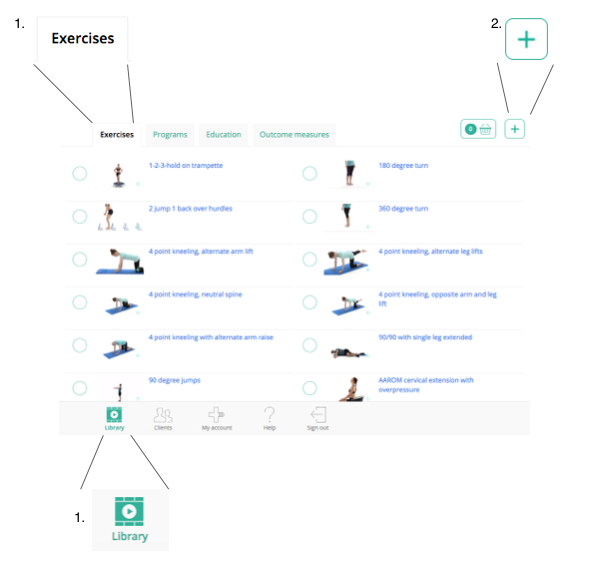 Your own exercise is now in your exercise library, and you can use it to design exercise programs. If you set up a sharing group ( My account > Sharing), you can also share your custom exercises with colleagues. Note: exercises where you have indicated that a patient is featured in the exercise are not shared.